Follow SC 402 to Doctor Evans Road. Turn onto Rice Hope Drive. Daniel Huger received 690 acres through grants from the Lords Proprietors (6). 1711  Daniel Huger died and passed his property to his son, Daniel Huger, Jr. (6). 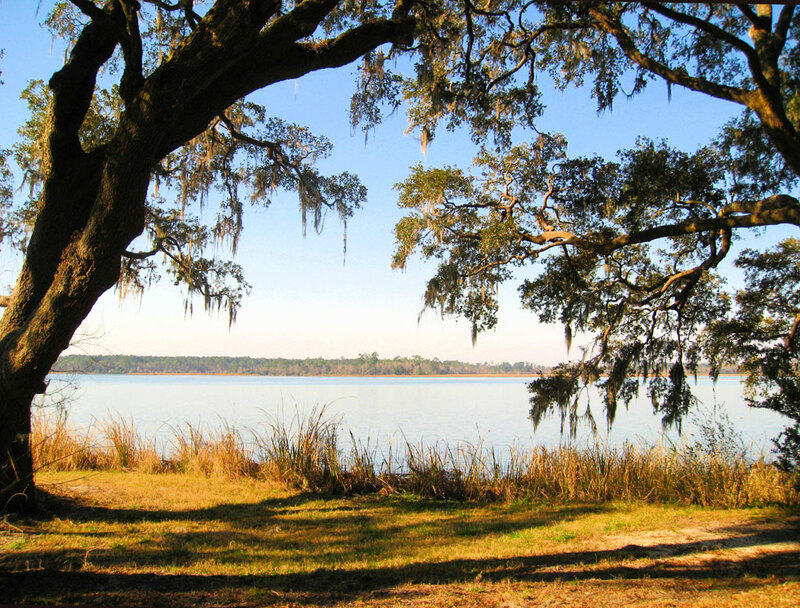 1713  Daniel Huger, Jr. purchased additional acreage from Michael Mahon. Rice Hope now totaled 3,415 acres (6). 1754  Daniel Huger, Jr. died and passed the property to his son, Daniel Huger, III (6).
?  At some point Rice Hope ended up in the ownership of John Harleston. He willed it to his daughter, Sarah, and her husband, Dr. William Read. Dr. Read had Rice Hope cleared and banked for tidal rice cultivation (6). 1840  House destroyed by fire. A second house was built in its place. A pen-and-ink watercolor of the first house was done by painter Charles Fraser. It can be seen at the Gibbes Museum of Art in Charleston (6). 1845  Dr. Read died and left the property to his son, J. Harleston Read, and his sister, Elizabeth Read Parker. By 1846 J. Harleston Read had complete control of the property. Rice Hope now consisted of 1,709 acres of timber and 371 acres of rice fields (6).
?  J. Harleston Read died and his son, Benjamin Read, inherited the property. Benjamin Read fought for the Confederacy during the Civil War (6). 1875  Elizabeth Magwood purchased Rice Hope from Benjamin Read (6). 1895  Alwyn J. Ball purchased the plantation (6). 1919  Ball sold the timber rights to the Coming Tee Corporation (6). 1920s  US Senator Joseph S. Frelinghuysen bought the plantation and proceeded to remodel the 1840 house. There is no record of when the Senator sold the property. 1927  Senator Frelinghuysen purchased neighboring Strawberry Plantation and merged it with Rice Hope (4, p. 81). 1930s  The formal gardens were restored and enhanced by Loutrel Briggs, a noted landscape architect. 1949-1953  John Page Simpson, Jr. purchased the plantation from West Virginia Pulp and Paper. During his ownership he was the caretaker of Strawberry Chapel. 1968-1971  The house at Rice Hope was used as a school for unruly boys (6). 1971-1983  Rice Hope was used as an art school (6). 1983  Gene and Sue Lanier bought Rice Hope and restored the house (6). 1992  Doris Kasprak purchased Rice Hope and turned it into a bed and breakfast (6). 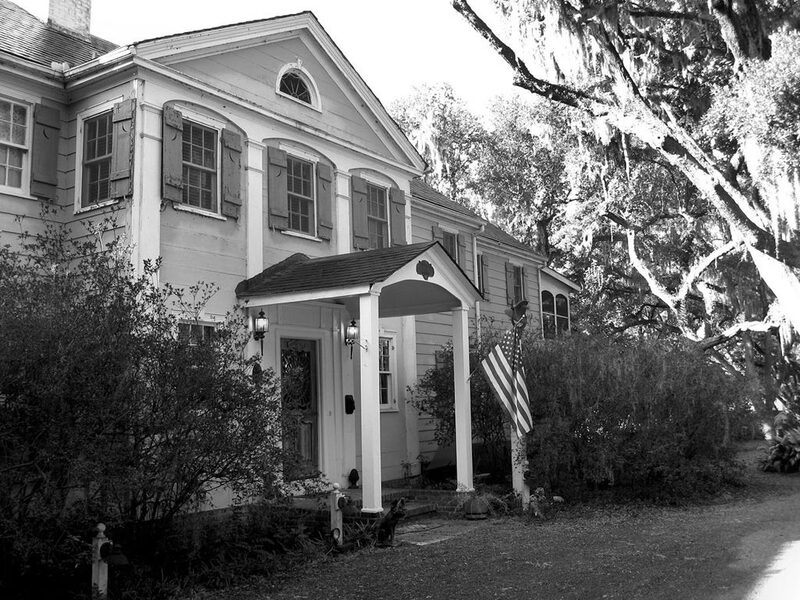 1996  Lou Edens purchased the plantation and continues to run a bed and breakfast (6). Formal gardens date from 1795. 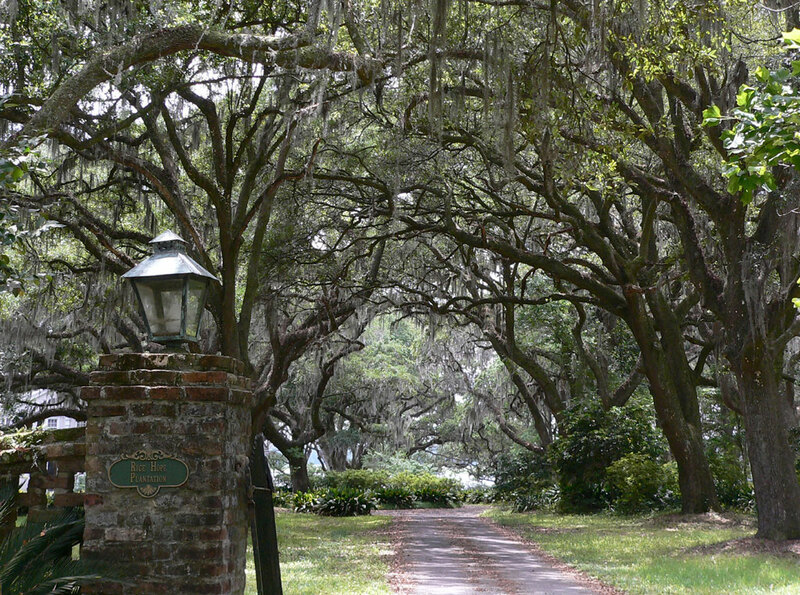 They were restored and enhanced by noted landscape architect Loutrel W. Briggs.